pokemonandy | Pokemon is awesome! 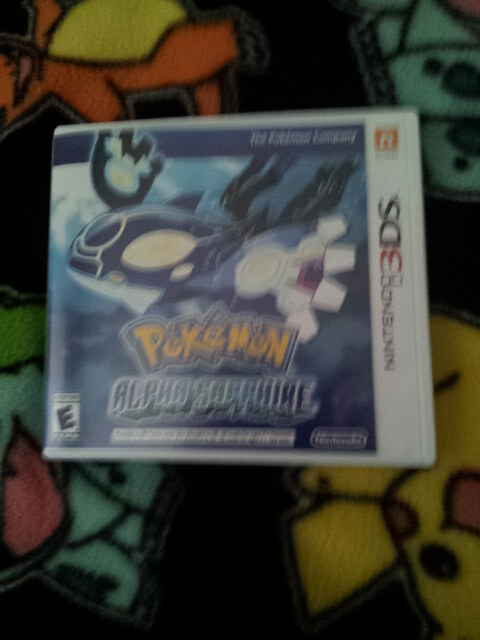 guessing pokemon is fun, and today, thats what we are doing! remember, all pokemon are from red and blue to black & white! clue 2: It cost 9999 coins to get in red, blue, firered, and leafgreen. 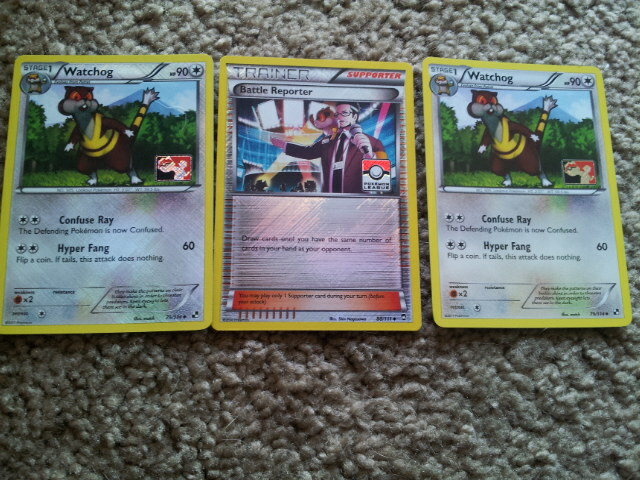 clue 3: its the “virtual” pokemon! porygon: the virtual pokemon. this pokemon can travel through electronic space and was the first artificially created pokemon! 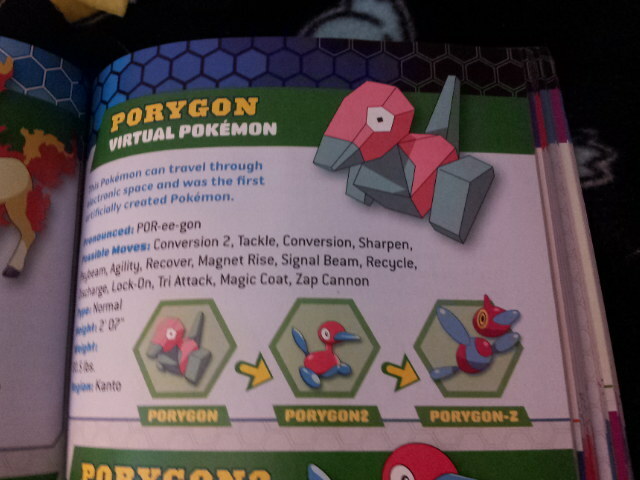 also check out porygon 2 and porygon-Z! clue 3: has a clone made by humans! Mew:the new species pokemon. 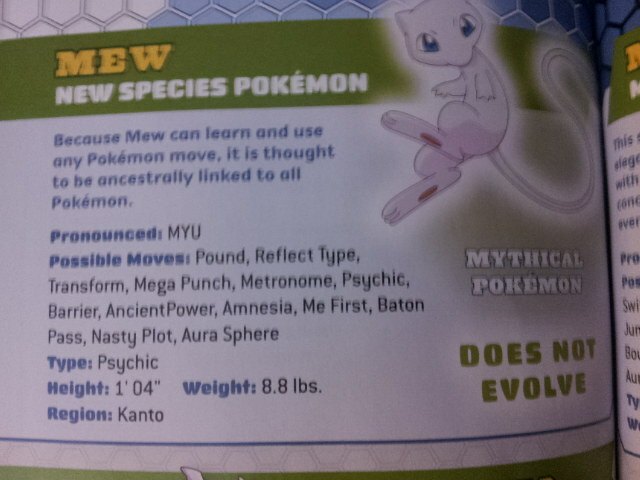 because mew can learn and use any pokemon move, it is thought to be ancestrally linked to all pokemon! 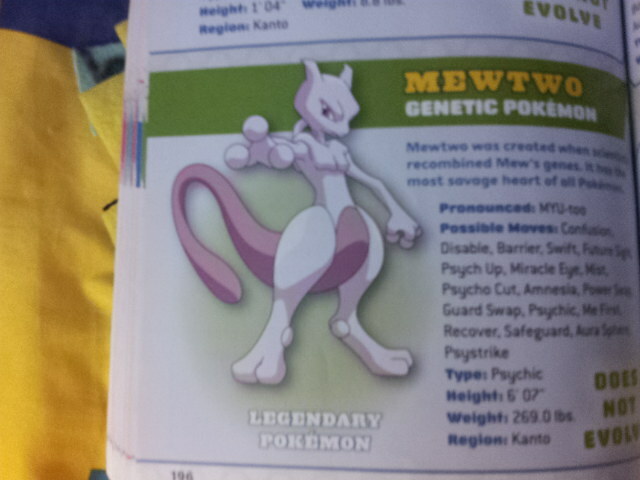 all you would need to do is know that its mew’s clone, and you would know this pokemon is mewtwo! with 2 Mega evolutions, X & Y, no wonder this pokemon is crazy strong! both mew and mewtwo are very rare, but mew is 13% more rare because its only glitchable our you get it as a gameshark code or an event! plus mew has very balenced stats in gen 1 games! well, I’ve gotta go, but I hope you have a good day, bye! #25 My NEW 3DS XL & Games! Welcome back! Today Is Very close to Summer, so I wanted to show you my birthday present from around May, 25th! 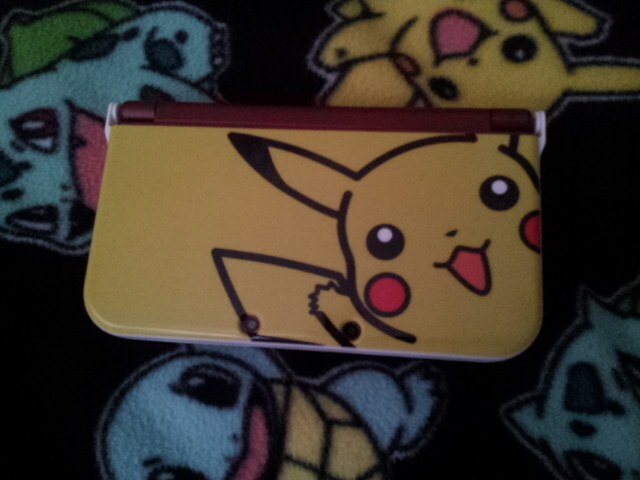 this is the front of the 3ds xl! 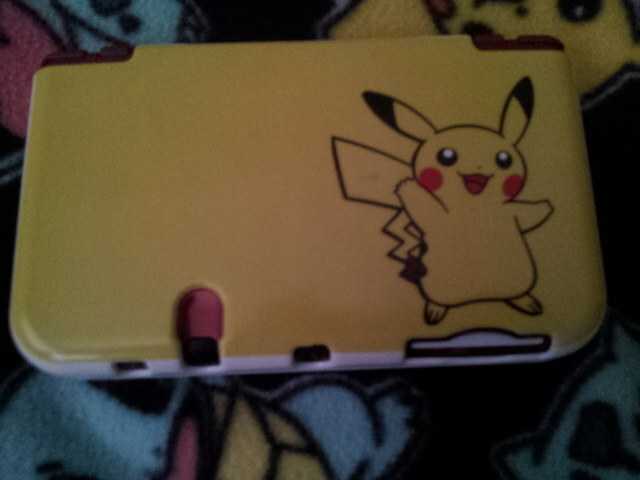 on it is a Pikachu case! this is the back! 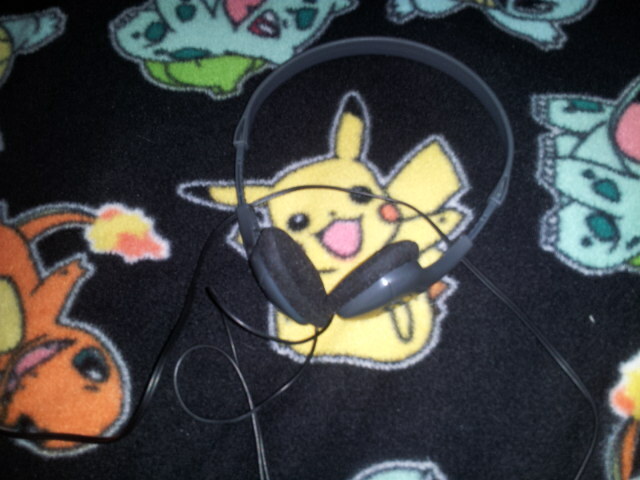 same as the front, pikachu! 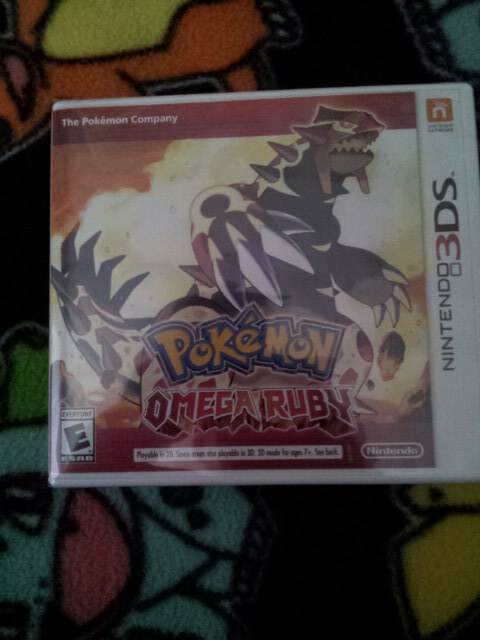 this is Pokemon Omega Ruby, A re-make of pokemon ruby version! this game has over 712 pokemon! even Fairy types! build a secret base, battle the champ, catch pokemon, defeat team magma, Mega evolve, and catch the themed pokemon of this game… PRIMAL GROUDON! build a secret base , battle the champ , catch pokemon , defeat team aqua , Mega evolve , and catch the themed pokemon of this game… PRIMAL: KYOGRE! Its almost the same game! the difference is that you battle team aqua, different Primal pokemon, and lots of other different pokemon, like lugia, lotad, dialga, and More in alpha sapphire! 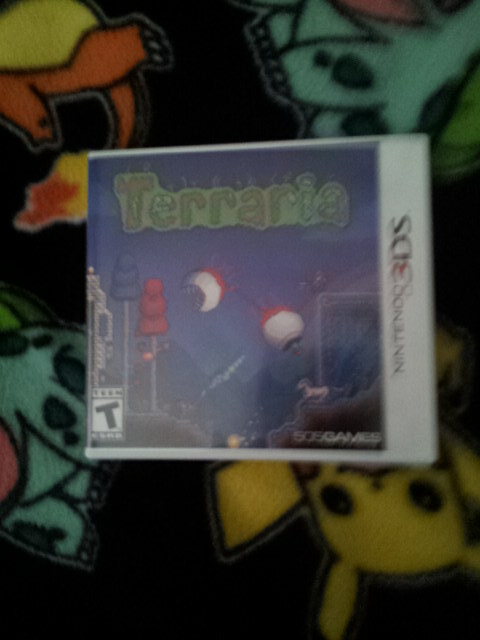 This is terraria! this game is “T for Teen”, but its super fun! fight monsters in this side-scroller minecraft-like game! more stuff than some minecraft mods alike! fight bosses, find falling stars and unicorns, this game is almost to much fun! if you love or like minecraft, you will like this game at least a little! well, I’ve gotta go, but maybe you’ll try these games! Buh-bye! Hi there! 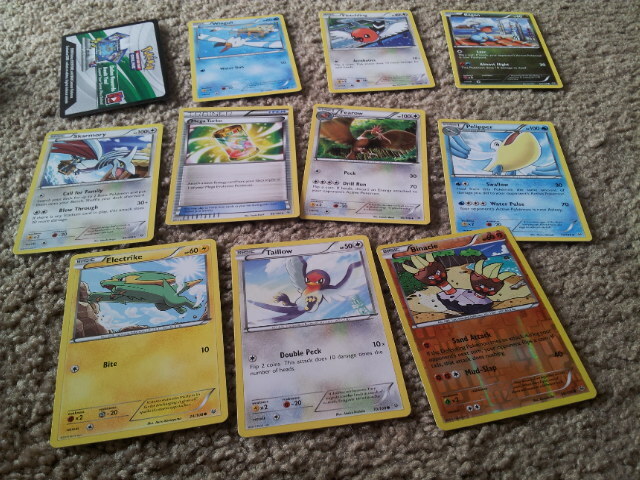 Today I’m going to show you 13 cool, awsome, amazing, rare promotional cards (promos, for short). this is a full-art, Kingdra, from PRIMAL CLASH. the reason this has the primal clash logo is that this could have been part of a primal clash pre-release! it has growth, allowing you to equip 2 energy per turn to this pokemon IF you equipped one this turn on this pokemon. also this powers it up with dragon breath! 150HP lost with one hit! Next up are the Unova starters! 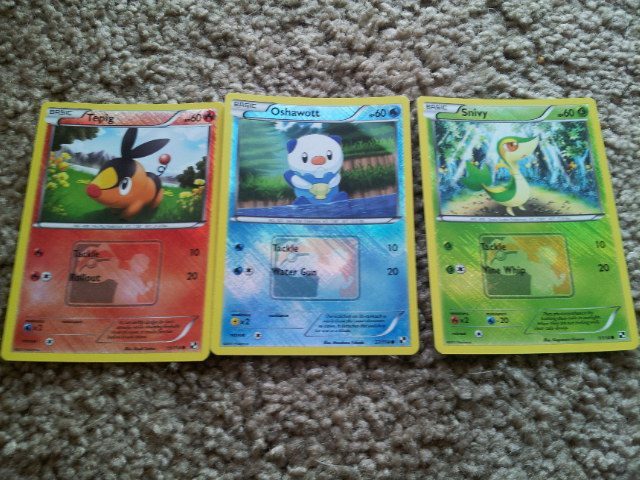 they include: Snivy, Tepig, and Oshawott! 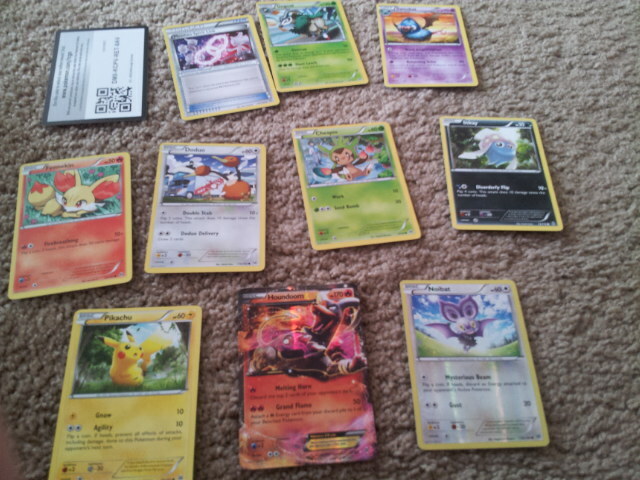 each does damege of 10 with 1 energy of there type, and 20 with 1 of any kind added! the Watchog in this picture are very nice promos! they have the power to confuse an enemy to back up Hyper Fang! the Supporter card, Battle reporter, lets you draw cards intill you have the same amount of cards as your opponet! 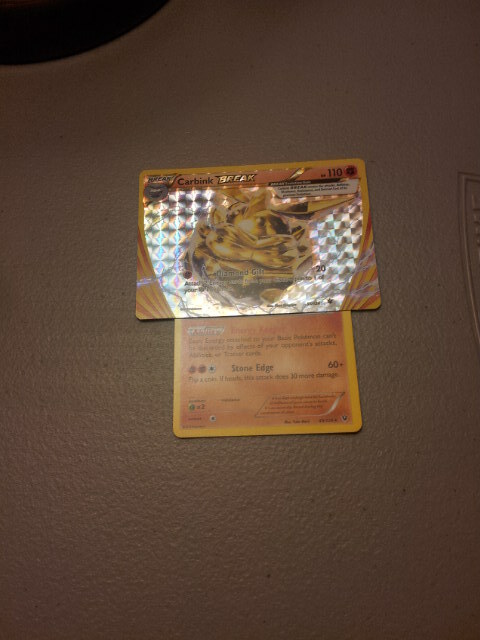 Normally Faxure is a dragon type pokemon, but on this card, its a normal type pokemon. 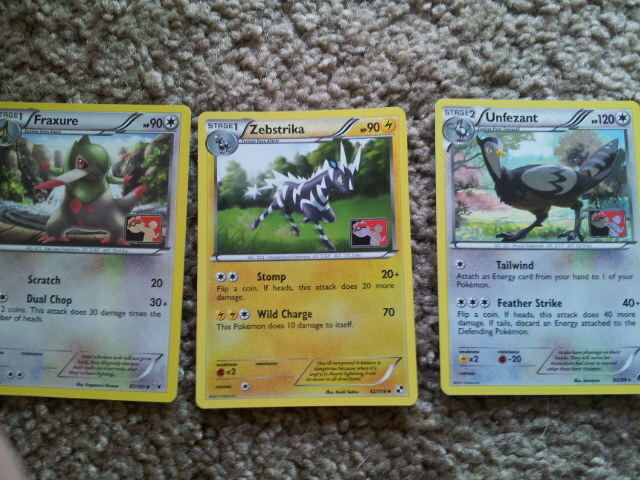 Zebstrika is a very good pokemon! with the power of sacrificing 10 HP, it can do 70 damage to an opponet! 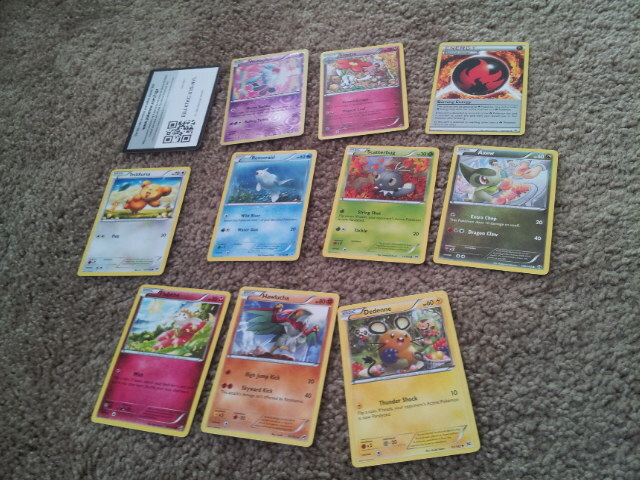 delibird is the oldest card I got as a promo today! with 7 water energy, you can draw 7 cards! of course, it dosen’t ALL have to be on delebird, it can also be on any other pokemon on your side of the field! krokorok can do 50 damage at on time! cryoganal also can do 70 damage to a fighting type pokemon! Well, I’ve gotta go. And have a good Mother’s Day tomorrow! Bye, bye! 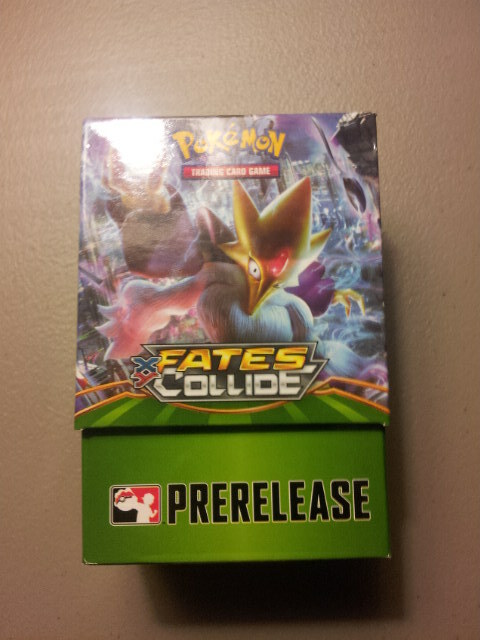 #23 Pokemon Trading Card Game XY Fates Collide Pre-release! Hello, today I’m going to show you a video and some pictures of The Fates Collide pre-realse set! O.k. so the video is made possible by the card shop I went to, my dad, the ramen rater, my baby brother, Miles, and my stepmom. Now I’ll show you the updated deck I showed on the video with 20 extra cards! 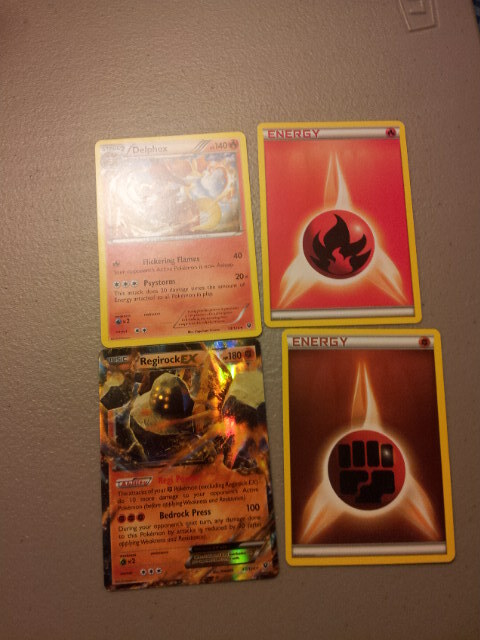 here is Regirock-EX and delfox! delfox does 20x the number of energy on pokemon (ALL POKEMON!). also Regirock-EX does 100 damage and takes 20 less damage next turn! 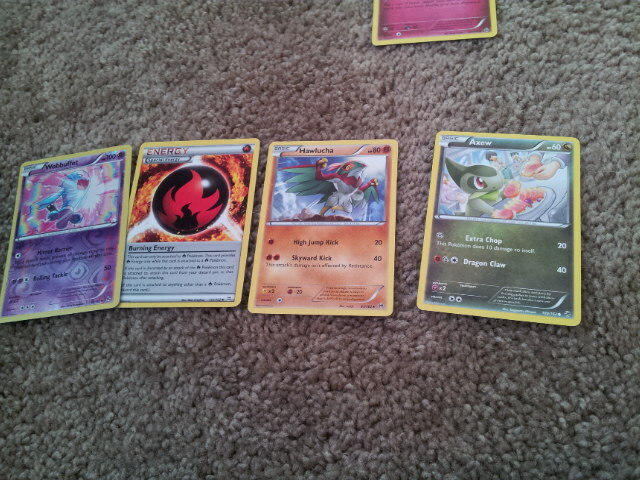 here is moltres, with fates collide wording, carbink BREAK, carbink, and hawlucha, which can parylyze enemy. this is how carbink BREAK looks like in battle! carbink gets +30 max HP, keeps stone edge attack and energy keeper ability, and learns a new attack! 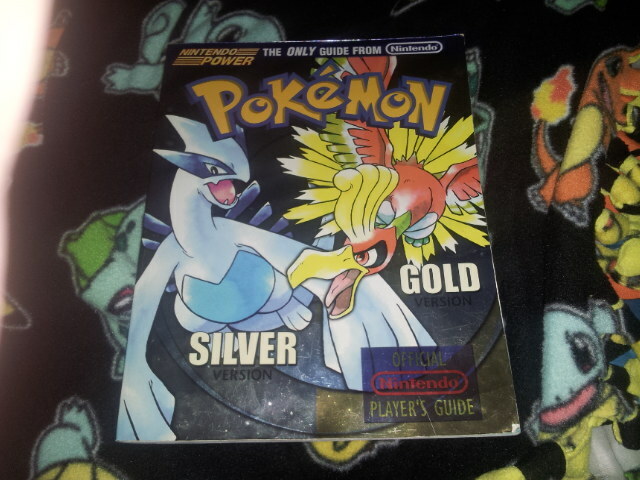 #22 Pokemon gold and silver guide book! today I’ll show you my guide for pokemon gold and silver! I’ve read it a hundered times or more! 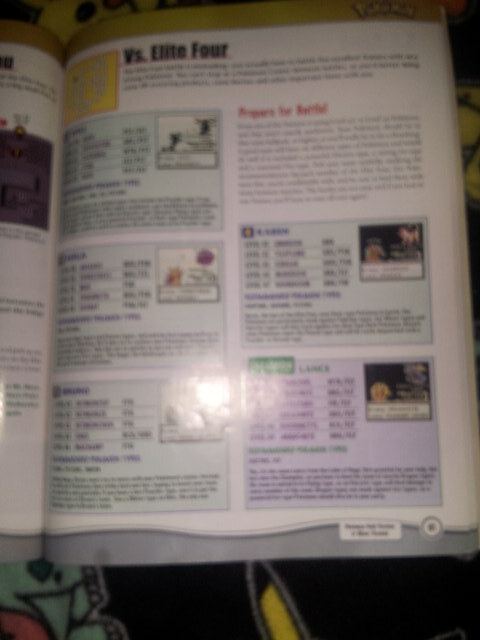 This old guide is super handy when playing pokemon gold or pokemon silver! This is the cover, which shows its a NINTENDO guide! There are some very cool stuff you can see in it! this is a pokemon you can catch in route 22! this pokemon is powerful when a poliwhirl, poliwrath, or in gold and silver, politoed! 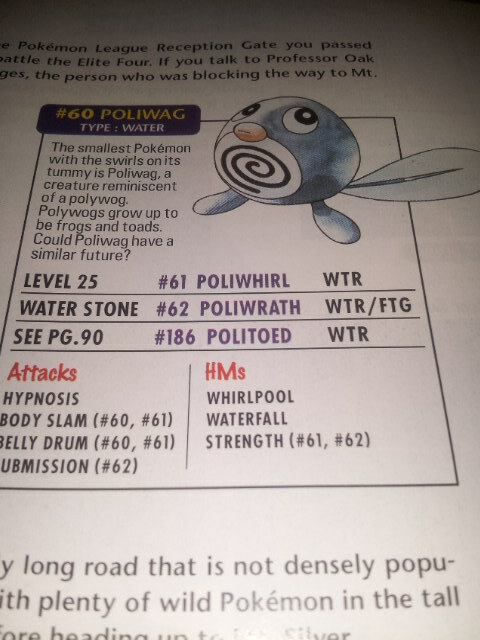 poliwag is a water type pokemon inless you have one of 2 diferent final evolutions which is poliwrath. poliwrath is a water/fighting type which can learn Dynamic punch with TM01! this pokemon, and other pokemon, are needed to complete the pokedex! but before it talks about poliwag, and after your 5th rival battle, you can battle Will, Koga, Bruno, Karen, and after deafeating all of those trainers… you can battle the pokemon Champion, LANCE! the pokemon’s power at the start was, 40 and later there level is, 50! after you beat all of them you can go and battle the gyms of Kanto! this challeng will be tof but after everything else, you can battle RED, the champ of the Kanto, and Johto regions! 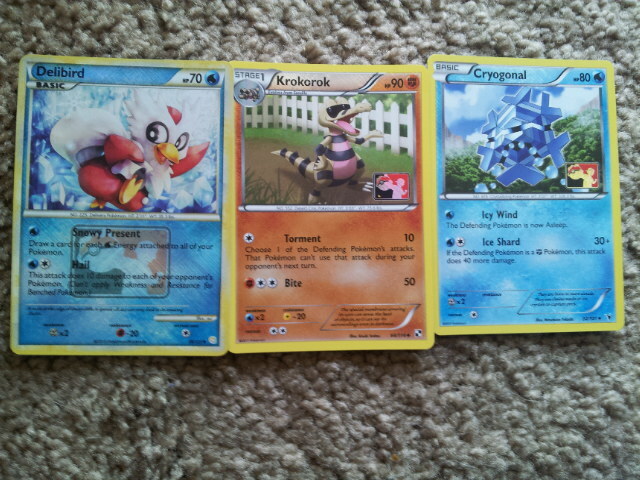 his pokemon are tof, like the champ of the pokemon legue, so train, train, TRAIN! you can beat the game! well I’ve gotta go but I hope you enjoyed this post and have fun playing pokemon gold and silver! bye bye! Hello, Today I’ll show you the contents of a break Box! 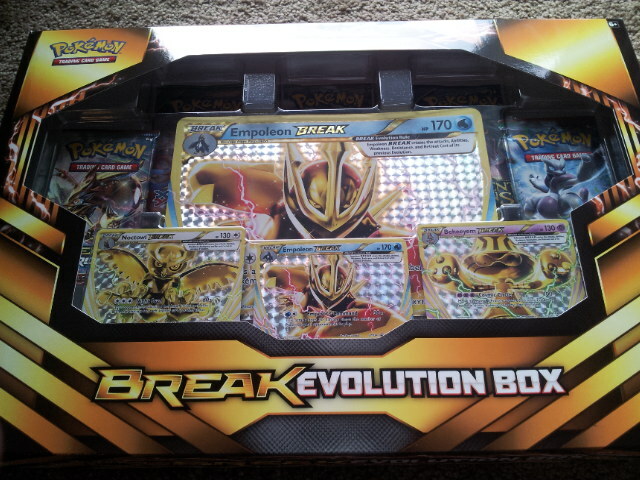 This is the BREAK box! 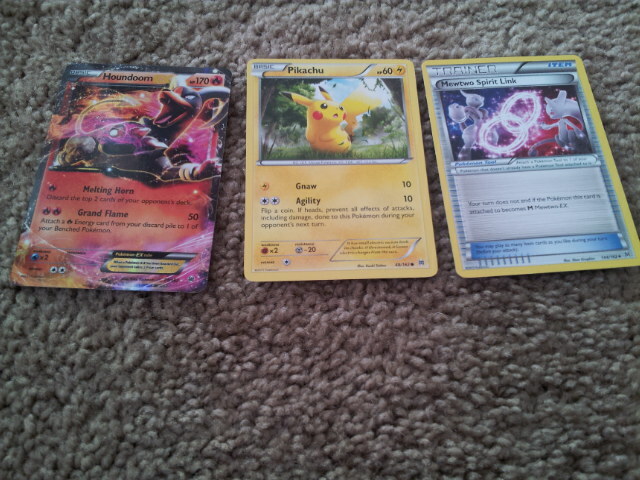 It comes with a big card of the most HP pokemon promo BREAK! 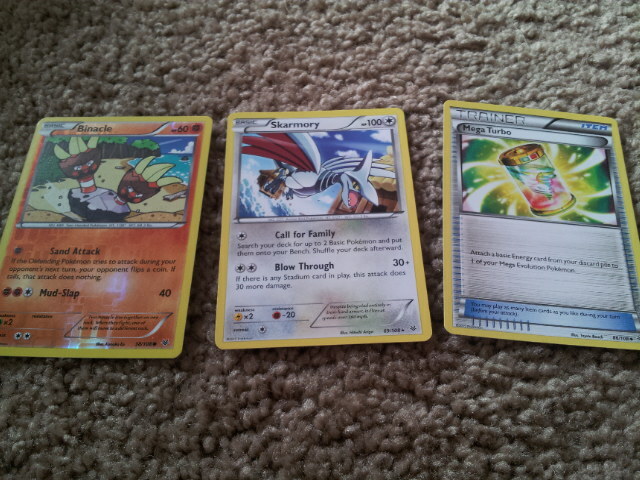 these are the promo pokemon BREAK! first is Noctowl, 130HP just like Beeyem but 60 damage no matter what! next up is Beeyem with 100 damage plus moves energy around in syicick decks, last but not least, is the Empoeleon BREAK! 180 damage if 6 pokemon ( counting active) are on your oppents side! BREAK pokemon are a higher evolution for stage 1 and 2! 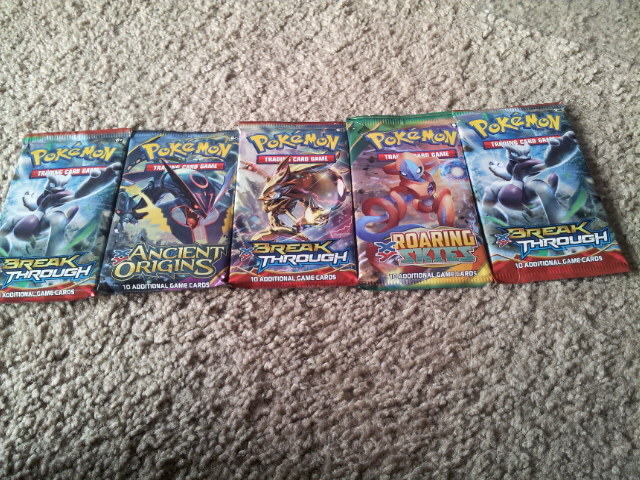 these are the booster packs, there are 3 Break throgh, and 1 Achient origins and Roaring skies! I got really lucky with this pack! so here is a pikachu, (MY FAVORITE POKEMON!) 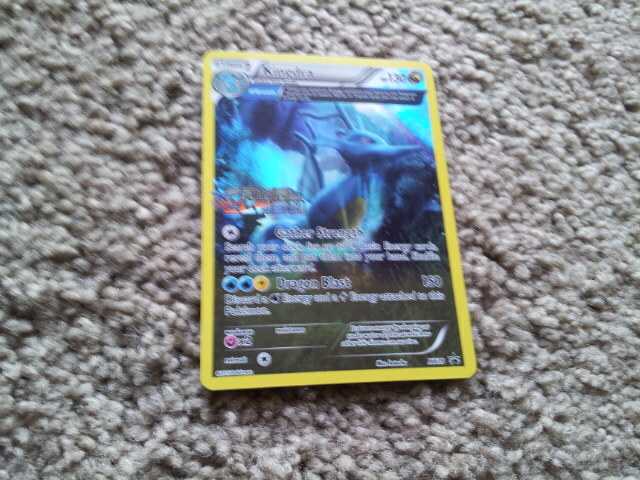 a mewtwo spirit link, wich helps with mega evolution for Mewtwo and a Hondoom EX! this is a pokemon that evolves with a MEGA pokemon! hondoom is very good discarding pokemon, because, just with 1 fire energy, as your attack, you can discard the top 2 cards of your opnets deck! also for twice the same exact energy cards, you can do 50 damage plus give a pokemon on your bench a fire energy from your discard pile! 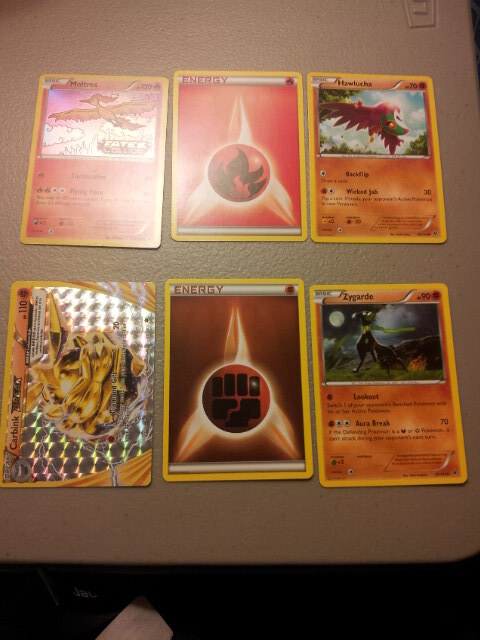 now, lets change it up a little and look into Roaring skies! 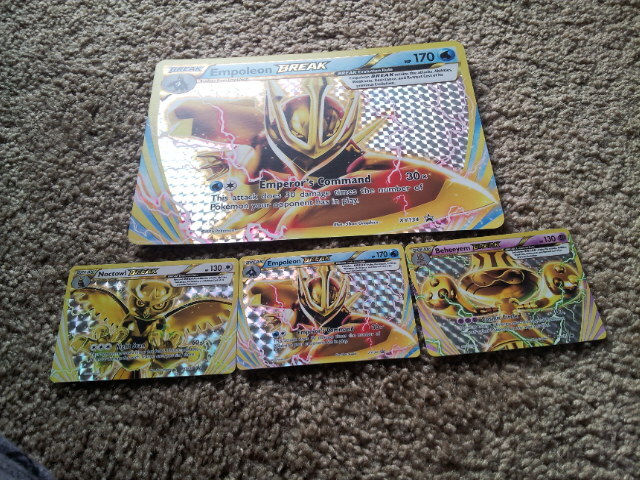 here we have a foil binacle, a skimory, and a Mega Turbo! the mega turbo gives 1 energy card to a pokemon MEGA! remember that the energy has to be in the discard pile! well I’ve gotta go, but I hope you enjoyed this and I can’t wait for more news! Bye bye! 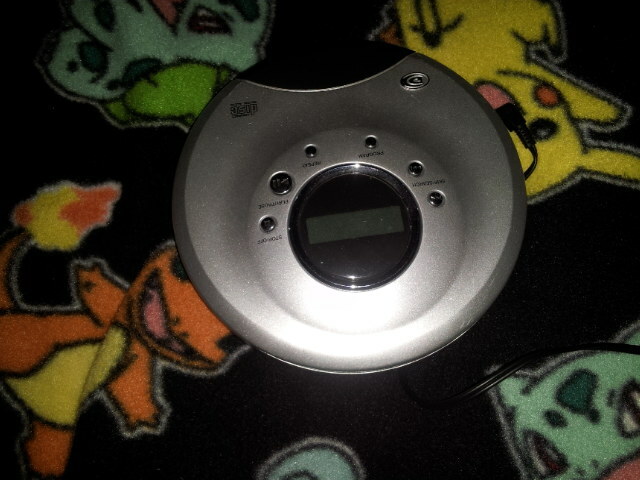 This is my Music Disc player. 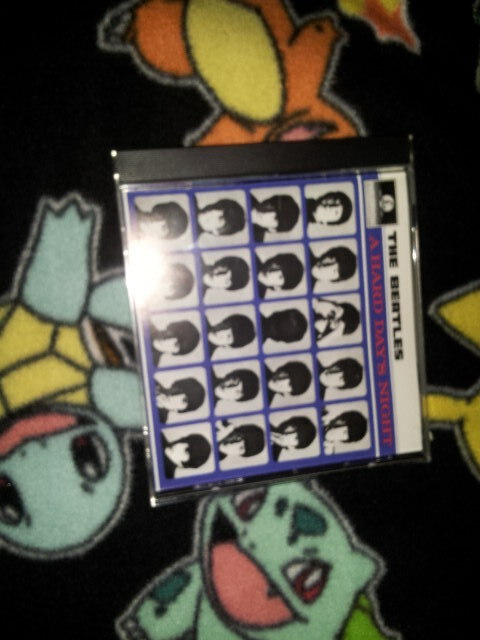 this is what plays The Beatles music! I love it! The music was given to me by my aunt, sue, and the music player was given to me by my grandma Cathy, and grandpa Gary! I wonder what I’ll post next about… so many choices! I love how the music is rock’n’roll but older! 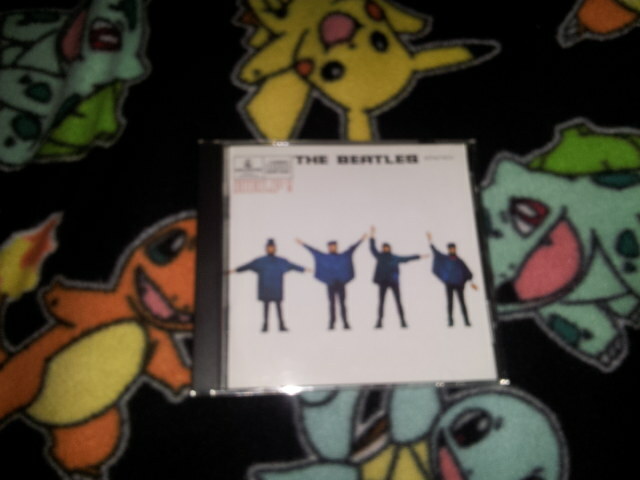 I love the beatles so much, I will some day make my own music! well, I’ve gotta go. thank you for reading and I still have more to talk about! bye!